The ValleyCats are excited to announce the return of Hops & Hits at Joseph L. Bruno Stadium for the 2018 season! Enjoy craft beer tasting PLUS a two-hour all-you-can-eat buffet dinner as the 'Cats take on the Lowell Spinners, minor league affiliate of the Boston Red Sox! Gates open at 5pm, all-you-can-eat picnic runs until 7pm, and craft beer tasting until 8pm. 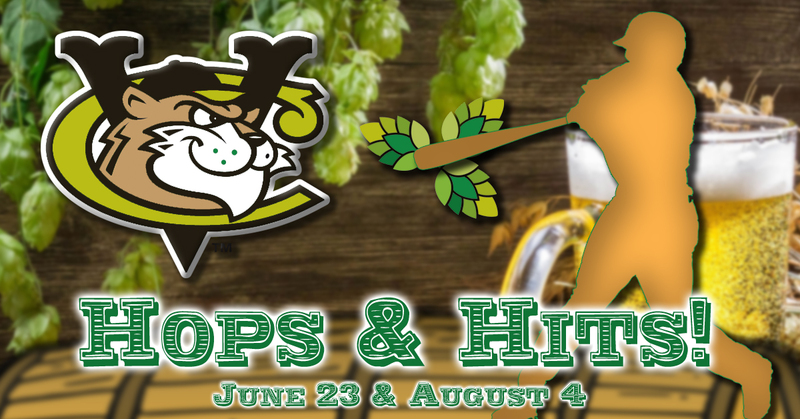 PURCHASE BOTH HOPS & HITS DATES, AND RECEIVE A FREE VALLEYCATS PINT GLASS! (Available for pick-up prior to the first date). *Menu subject to change. Craft beer selection will feature summer brews!